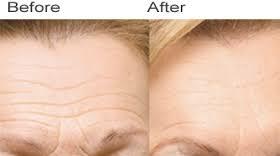 Look Younger Faster With Radio Frequency Skin Tightening. 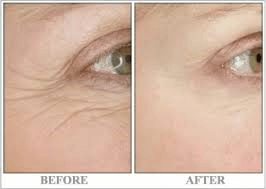 One of the signs of ageing is a gradual loss of skin elasticity, and a natural loss of skin collagen production. This causes the skin to look and feel looser, and is more common when we have experienced weight fluctuations or have had children. With this in mind, Aleisha-Jane Beauty’s Radiofrequency Skin Tightening treatments are designed to deliver fuller, plumper skin without any downtime. This treatment is suitable for all clients who are concerned with firming the skin and refining the appearance of fine lines and wrinkles. It can also be used as a preventative treatment for skin that is starting to show the signs of ageing. 1. Tissue Retraction: The generated heat immediately tightens the skin. 2. New collagen formation: By heating the dermis, new collagen production is stimulated. 3. Improved circulation: RF Skin Tightening improves blood and lymphatic flow. There is redness and heat in the treated skin that disappears within 30 minutes. A course of 10 treatments is recommended with weekly treatments. Maintenance treatments are recommended every 12 weeks. Using Radio Frequency technology to tighten the skin, reducing fine lines, wrinkles, stretchmarks and cellulite.